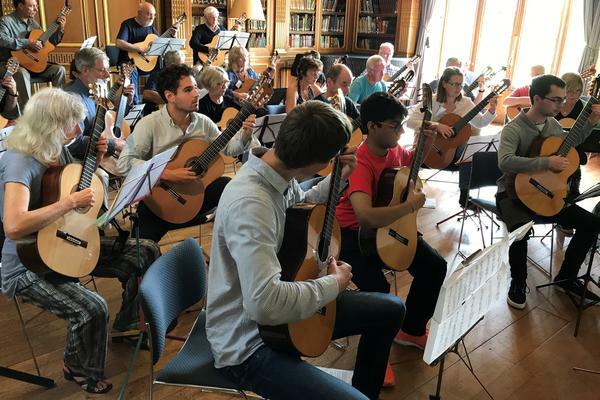 Under the directorship of Andrew Gough, West Dean College once again offers the celebrated International Guitar Festival in the idyllic and relaxing surroundings which make this the perfect setting for concerts, lessons, masterclasses and ensemble coaching. The 2019 Festival includes an intensive timetable of events and instruction in a wide range of areas; repertoire classes, ensemble performing, guitar orchestra, individual lessons, 'Learning Zones', and solo masterclasses. This year we have an exciting series of evening recitals by international concert artists, specialising in both solo and duo repertoire. 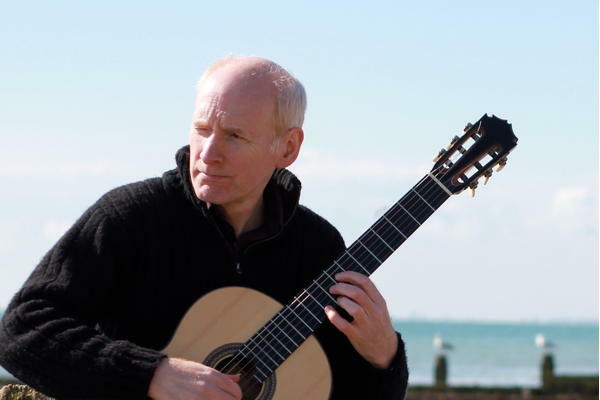 The evening series commences on Saturday with a solo recital by the pre-eminent Brazilian guitarist Fabio Zanon. 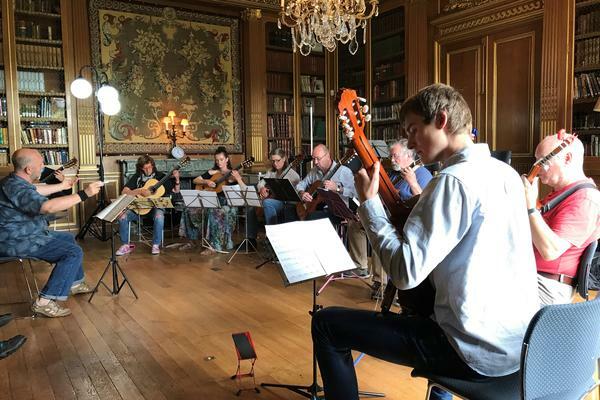 On Monday evening we welcome for the first time to West Dean the wonderful eight-string and historical guitar specialist Raphaella Smits from Belgium. 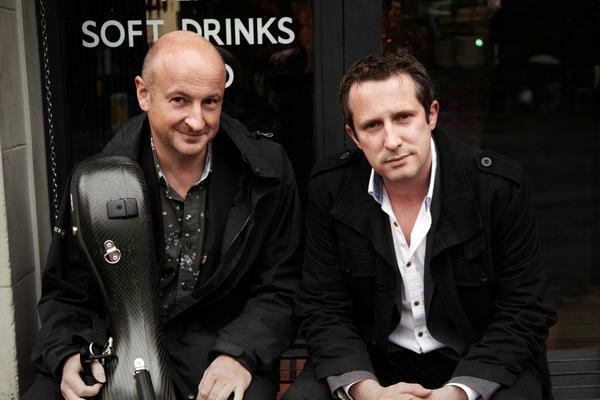 Back by popular demand, the Eden-Stell Guitar Duo return to our stage on Tuesday to conclude the series with a celebration of music for two guitars. The Open Day on Sunday 25 August (12.30pm - 7pm) will again celebrate all things guitar; with a wide selection of guitars and music on display and a variety of events to enjoy. This year we will be including a guitar makers' showcase with a special focus on the detailing of each maker's instruments; such as their rosette designs, a masterclass with Fabio Zanon, and an illustrated talk about the life and music of Joaquín Rodrigo by Raymond Calcraft. An exhibition by guitar makers and music companies will also be on display throughout the day. 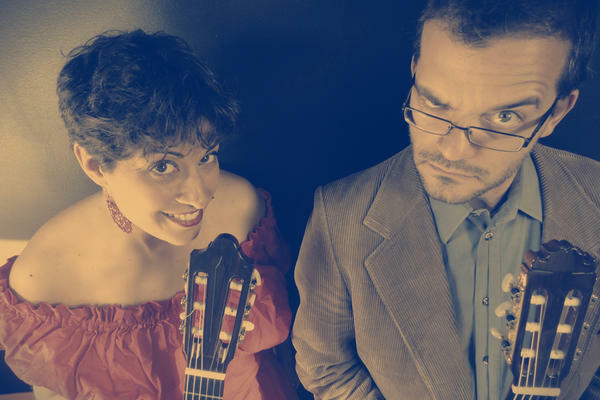 At 6pm Gaëlle Solal and Boris Gaquere (two of our festival tutors) will give their entertaining and unique guitar duo stage show performance of 'Crazy Nails' in St. Andrew's Church. The carefully planned and highly varied programme will appeal to all enthusiasts, from grade two level experience all the way to advanced. The course is open to anyone aged sixteen (16) and over. "I really enjoyed it and think I've learned a lot. The course days were very full, which I appreciated." Ensemble playing - These sessions provide important awareness of reading and listening skills, and also help with rhythm and counting. Participants are allocated a place in a medium sized ensemble with students of a similar standard. The course concludes with a performance by the ensembles on the Thursday morning. Guitar Orchestra - This year the orchestra welcomes the return of Vincent Lindsey-Clark as guest conductor. These exciting rehearsals with a larger group of players culminate in a final performance at the end of course concert. Orchestral parts will be emailed out in advance. Private lessons - Each course participant will receive two 30-minute individual lessons. Please note that playing in a Masterclass is regarded as one lesson. Repertoire Classes - These are sessions where students may perform 'own choice' items in front of a small group, thereby providing helpful and positive feedback from the tutor to improve the performance. Small Ensembles Coaching - These classes will run alongside the repertoire classes but have the specific aim of assisting small ensembles, especially pre-existing groups attending the Festival, with their repertoire and performance techniques. Student Concerts - These concerts provide a great opportunity for course members to try out their pieces in public, and this year will again include an informal debut recital for those students for whom this would be their first public performance. There will be three lunchtime concerts, plus an evening concert on Wednesday. Technique Workshops - These increasingly popular 'question and answer' classes provide students with the opportunity to discuss, and find ways to improve, a variety of technical issues. The Learning Zones - These consist of a series of lectures and practical workshops covering a wide range of musical and technical aspects of guitar performance. Theory Classes - New for 2019 - As an additional element to the course, Andrew Gough will be discussing the practical application of music theory to guitar repertoire and exam preparation. Alexander Technique - Optional extra with an additional charge - This year we are pleased again to be able to offer one-to-one Alexander Technique sessions with Carolyn Nicholls, a world renowned Alexander Technique expert who loves working with musicians. Individual 30 minute lessons are available on Monday and Tuesday for £35 each. To pre-book a place, please indicate on the Musical Details form and you will need to pay Carolyn directly at your session, by cash or cheque. For an outline of the day, please also refer to the sample timetable in Useful Links. Students should bring their own guitar, music stand, foot-stool/guitar-rest, and a selection of current repertoire to use in lessons and repertoire classes, and for performances in the student concerts. The Bookings Office, West Dean College, West Dean, Chichester, West Sussex, PO18 0QZ. 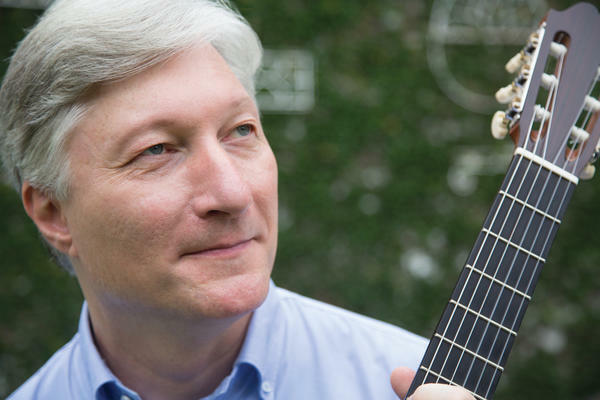 Mark Eden - International recording artist, with the Eden-Stell Guitar Duo and the VIDA Guitar Quartet. Tutor at the Royal Birmingham Conservatoire and Guildhall School of Music and Drama. Boris Gaquere - Belgian international concert guitarist, chamber musician and composer. Tutor at the Academie de Musique de Watermaël-Boitsfort and Uccle, Brussels. 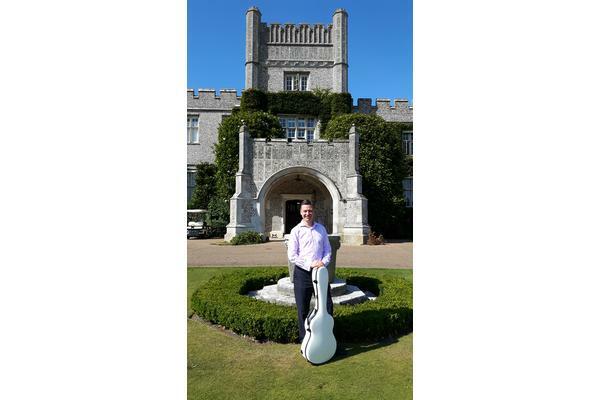 Andrew Gough - Director of the West Dean Classical Guitar Festival, Head of Guitar at the Royal Birmingham Conservatoire Junior Department, ensembles director and concert guitarist. 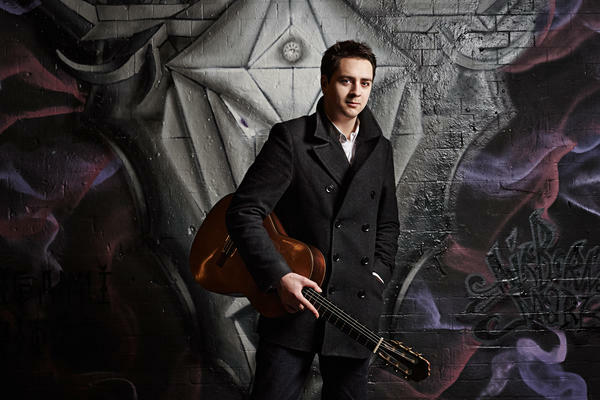 Vincent Lindsey-Clark - Renowned guitarist composer whose music is played worldwide. 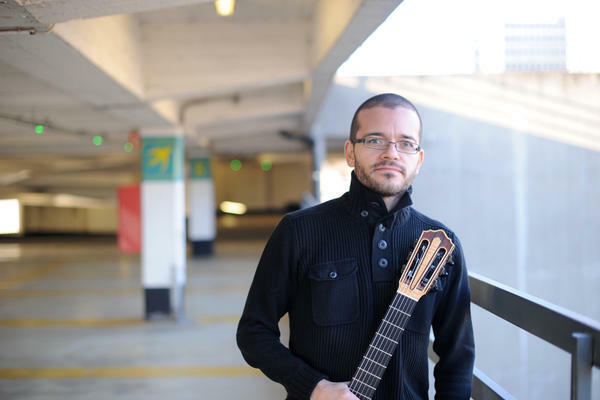 Member of the Segovia Trio and the Modern Guitar Trio. Tutor and ensemble coach. 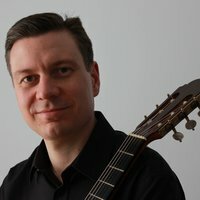 Manus Noble - Award winning soloist and composer with an interest in extended techniques. Musical Director of NYGE Wales, and tutor at the Royal Welsh College of Music and Drama. 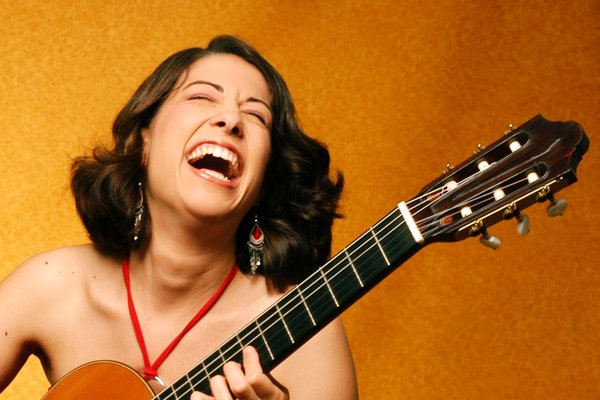 Liz Larner - Concert guitarist with a special interest in chamber music. 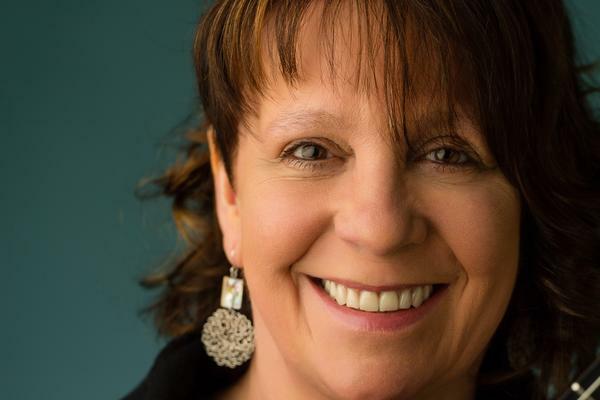 She is a Royal Shakespeare Company musician, and an experienced tutor and ensembles director. 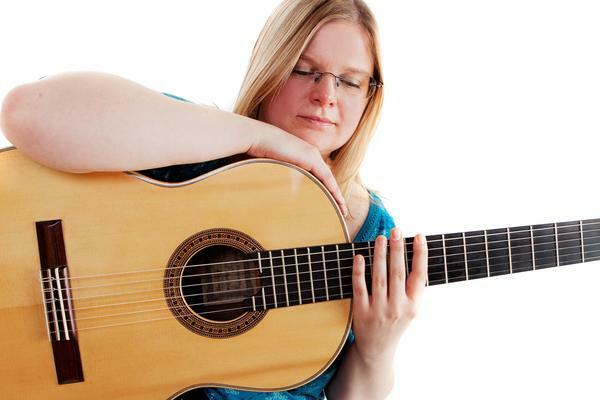 Raphaella Smits - International concert artist, regarded for her musicianship and understanding of the eight-string and historical guitars. Competition adjudicator and respected tutor from Belgium. Gaëlle Solal - Prize winning international concert artist and teacher from France with a passion for contemporary music and dance. Member of the Crazy Nails duo with Boris Gaquere. Chris Stell - International ensemble guitarist and recording artist, with Mark Eden in the Eden-Stell Duo and the VIDA Guitar Quartet. Guitar professor at the Royal College of Music, London. Fabio Zanon - Brazilian virtuoso, regarded as one of the pre-eminent guitarists of today. Tutor, chamber player, conductor, author, and broadcaster. Professor at the Royal Academy of Music. Bursaries are available to first study classical guitarists aged 16 - 24, especially those who are studying towards a music degree. Please complete the Guitar Festival Bursary application form if you wish to apply. The non-resident student fee is £600 - including coffee, lunch, tea and dinner daily, as evening events are planned. If you wish to stay at the College, the accommodation costs are given below. Partners are welcome to stay with you at the Festival on a resident-only basis, please refer to accommodation guide on the website for details. Partners/guests can purchase tickets for the concerts via the website. The Festival begins on Saturday 24 August at 4pm. Please arrive and register between 2pm and 3.30pm (before tea). If you wish to arrive in time for lunch on Saturday, it is essential that you book in advance - please contact the Bookings Office. The course ends at 2pm on Thursday 29 August. Please advise us in advance if you need to depart before the advertised finishing time. If you wish to arrive early and arrive on Friday evening 23 August, rooms may be available if booked in advance with the Bookings Office. Berta Rojas masterclass with bursary student. Please note: the concerts can only be booked from January 2019 onwards. Location: The Old Library, West Dean College, and St. Andrew's Church, West Dean. Sponsored by Classical Guitar Magazine, Classical Guitar Centre Birmingham, D'Addario Foundation, Universal Edition and José Ramiréz Guitars. For all of the Guitar Festival concerts and Open Day. Including exhibitions of music and instruments, a guitar makers' showcase, masterclass with recital by Crazy Nails! 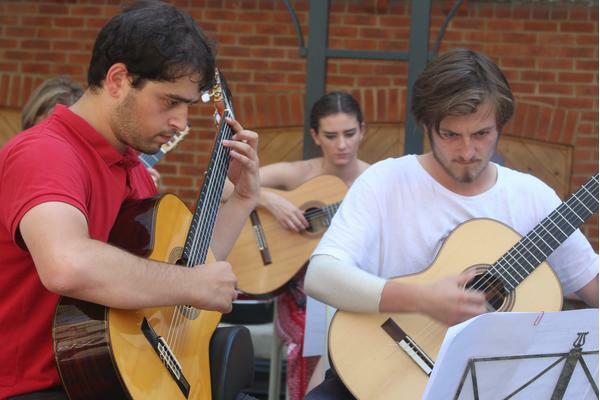 West Dean College gratefully acknowledges the generous support of Stephen Eden Guitars, Classical Guitar Magazine, Classical Guitar Centre Ltd. Birmingham, José Ramirez, Universal Edition and the D'Addario Foundation.